Oops well I haven't kept my promise to blog every day! C is for Charity. Charity begins at school for Elf, he had a visit from the Portsmouth Foodbank at his Harvest assembly. This is an organisation providing three days' emergency food to local people in crisis. A member of their staff gave a talk to the whole school, and even now, Elf asks when are we going to give food to the bank again. I think we are doing Christmas presents for local children through them as well. They had a stand outside my local Waitrose yesterday and we were able to pick up a little shopping list to help with donating. I donated tinned potatoes, minced meat in gravy and fruit salad. They really are a worthwhile charity and when I told him how good his colleague's talk was at the school, he said he'd had another little boy from the school recognise him! This shows that the personal touch works to show charity in context in your community to youngsters. With all the consumerism (another C word) around Christmas, I think we should remember those who may be worse off than ourselves. 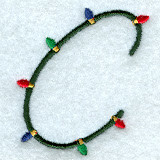 C is also for coughs'n'colds. And croaky voices! Where's my hot toddy?